We offer a wide variety of party themes to suit every occasion. Whether you are celebrating a special birthday; a special occasion; a Christmas party or simply want some time out with your friends and/or family, we can create a memorable night just for you. Choose a theme to suit you and your guests: Indian, Mediterranean, beer and steaks, Gin and canapes, tapas and Prosecco, Best Chef, Hell’s Kitchen or Bake-Off style – the choice is yours! Please take a look at our courses available for inspiration. Why not include a wine, beer or spirit tasting too? Typically, our private party prices are for 12 people, but very happy for you to have less. 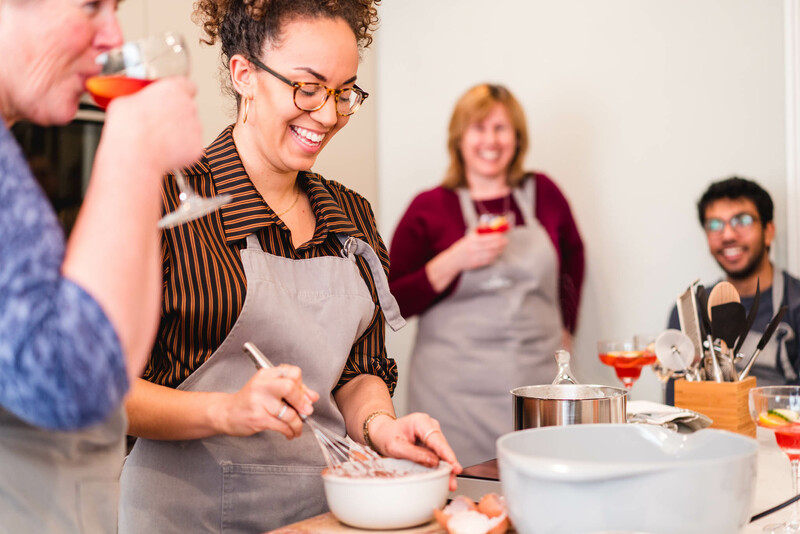 Each course concludes with you and your guests enjoying the fruits of your labour and sharing stories and experiences over a glass of wine around our sociable dining table. Please complete the no obligation enquiry form in as much detail as you can and we will get back to you to discuss your party. Our bespoke events are all costed individually once we have agreed an events details. 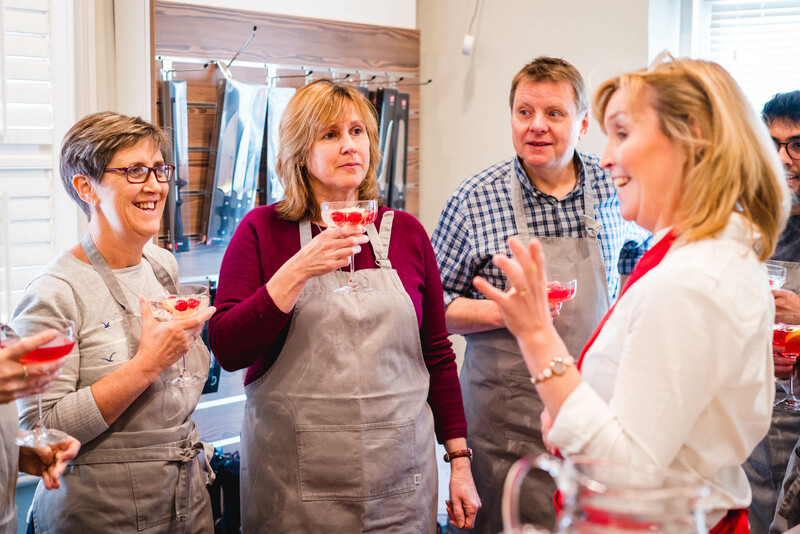 Each event is for up to 12 people to have sole use the venue for about 3 hours, and includes all the ingredients, equipment, aprons, soft drinks throughout the class, a glass of wine with the food, and of course, the chef and hosts. Typically, a 2 or 3 course meal is taught, cooked and enjoyed. You will be looking to pay around £65 + vat for a truly unique and memorable experience. What sort of event are you interested in? Join our mailing list to be kept up to date with our latest courses and news?